The Rainbow Company has proved to be the ideal partner in every way for us. This dynamic, high tech company spans 100,000 square metres, with state of the art machinery. 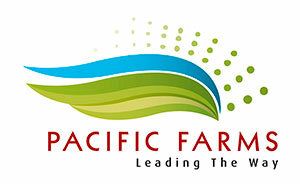 They handle our macadamias in the most efficient way possible to deliver the quality on which Pacific Farms has built an enviable reputation. Ensuring that our macadamias not only taste great but meet the highest food safety standards is our collective goal. We have jointly embedded the same values in food safety, logistics and marketing into our shared and separate businesses. Rainbow deal in all sorts of nuts and since 1958 have built their business to be one of the biggest and most trusted brands in China. They have established a powerful and respected brand and are committed to the nut business for the long term. Rainbow are quality driven and are concerned about protecting the brand reputation which their family company has nurtured for almost 60 years. Rainbow process macadamias year-round from multiple origins making them one of the world leaders in quantity and quality. Today, Rainbow’s macadamia processing system is uniquely dynamic. It’s been engineered based on decades of macadamia processing experience and has transitioned from people dense to a combination of high tech and high touch. It combines investment in technology and investment in people to drive productivity.